We at Sunbird Cleaning Services Charlotte are professional carpet cleaners with state of art rug cleaning services. We understand that rugs are pieces of fine art that require regular cleaning for maintaining their beauty. Our rug cleaners are trained to highest industry standards and specialized in rug cleaning and care. Sunbird Cleaning Services use powerful equipments and apt techniques to remove dirt and stains from area rugs. Scotch Guard treatment and stain protection services are offered on request. Carpets are dried and ready for use within three hours of completion of rug cleaning process. The quick speed is facilitated by powerful machines and cleaning products. We spare no effort while delivering best rug cleaning and carpet cleaning service to our clients. We understand that rugs are best looked after, if they are professionally cleaned once a year and vacuum cleaned twice a week. We use best of products to ensure your rugs last longer and look as good as new. Charlotte area rug cleaning services extend to variety of delicate treatments for handmade area rugs like those made of Silk from India, Afghanistan, Iran, Pakistan and China. We also clean antique rugs. We at Sunbird Cleaning Services treat each rug differently. Our trained professional rug cleaners perform careful examination of rugs for discolouration, stains, fading, colour instability, wear and tear, pre-existing damage, odors etc. We check every minute detail prior to deciding the type of rug cleaning treatment to be carried out. We choose the rug cleaning method that would best suit the rug's weave, fibers and dyes. We have colouration enhancement treatment services for rugs and this is available on request. In-house Area Rug Cleaning - we at Sunbird Cleaning Services clean your rugs at your home saving precious time and money. The injection or extraction method is commonly used here and is proved to be highly effective. Pick up and Cleaning - we pick up your rug and clean it at our state of the art cleaning facility. The pick-up and delivery of cleaned rug is completely free of cost. 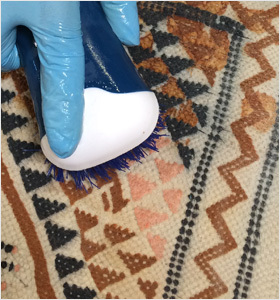 Our trained expert rug cleaning technicians use cutting edge technology to revive colours and deep clean rugs. We use only non-flammable, non-toxic, pet friendly, baby friendly and bio-degradable rug cleaning products. Our technicians conduct detailed inspection of rug to ensure premium standards. The rugs are wrapped and delivered at your door. We offer next day delivery service for an additional fee. Our expert rug cleaning brings out the rug's natural beauty as well as extends its life. By choosing Sunbird Cleaning Services, you can keep your family healthy and safe and also contribute towards saving our environment through our environment friendly approach. We assure you 100% satisfaction with our professional rug cleaning services. We keep in touch with our esteemed clients to ensure that all their rug cleaning queries are answered. We also provide you with tips and products that can keep stains at bay in between rug cleaning schedules. 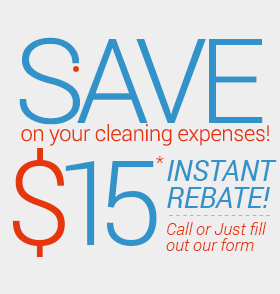 Call Sunbird Cleaning Services in Charlotte at 704-209-9333 for more information.